Do you know what's rolling around in your air ducts? An access hole is cut in the supply side of the hvac system, then a very powerful vacuum is attached to it. The vacuum is then turned on. We always start with the farthest heating vent then work our way to the vacuum. Each heating and cold air return ducts are individually cleaned with compressed air and physical adgatation after each register is removed and cleaned. After all the ducts have been cleaned, the main trunk is cleaned back to the vacuum. Once the heating supply side have been cleaned, then we cut an access hole in the cold air return side, the vacuum is re-attached and the process is repeated. We only use the most sophisticated technology advanced equipment in the industry today. Last but not least, we will clean your dryer vent at no extra charge. It can contribute to a house fire if not properly cleaned out. We use inspection video monitors before and after each duct cleaning to insure you that your ducts are thoroughly cleaned. All inclusive up front pricing. Scott Wilson c/o has over 20 years experience in the duct cleaning industry. Most homes range from 3-4 hours to complete a professional detailed job, depending on size. Call for your free on site estimate using camera inspection monitors. Helps alleviate allergy and breathing problems. Helps cut down on the dust circulation in your home. Helps the indoor environment smell and looks cleaner. Saves on energy costs by improving the performance of your hvac system. Periodically clean and replace air filters. 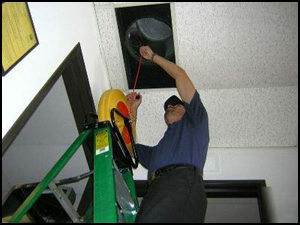 Remove any accumulated dust from supply vents and cold air return grills. At Connah Duct cleaning, we can assure you that you will receive the most detailed ducts system cleaning by using cameras during the cleaning process. You will breath easier after we have accomplished our goal to deliver results each and every time!!! Our pricing is very simple and very fair; up front, no suprises, no fine print, no hidden fees, just honest pricing, the way it should be. 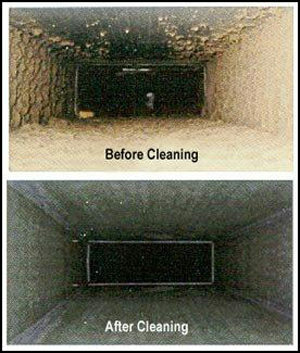 Please call today if your ducts haven't been cleaned in at least 3 or more years. We will set up a free on-site estimate using camera inspection to see if there is a need to have them cleaned or not. Our guarantee to you, in writing. All work performed comes with a 100% money back guarantee, because we don't want your money if you're not completely happy with our service and results. Furnace componets cleaned, blower unit air conditioning coils etc... air washed and vacuumed. Wash furnace air filter if it is washable. Exterior of furnace wiped down. Improving your in home air quality promotes healthy living!!! !